The fire broke out on November 8 and in a few hours destroyed the town of Paradise, which had a population of 26,000. The death toll from the wildfire in northern California has increased to 83, authorities said. 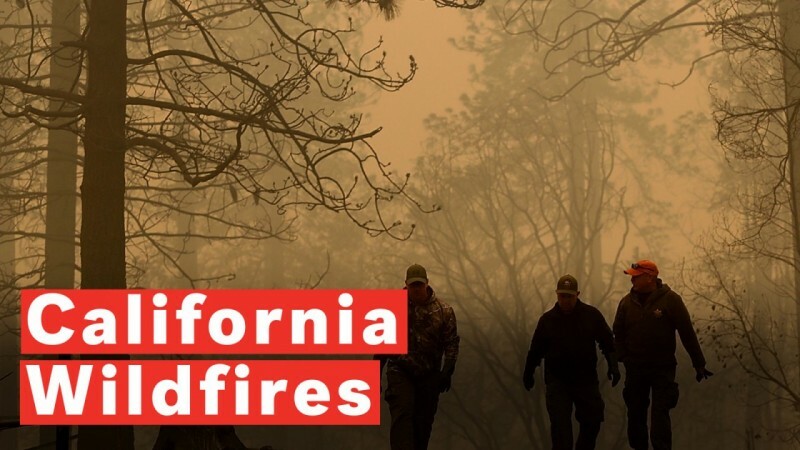 The number of missing in what is known as the "Camp Fire" dropped to 563, that is 136 fewer than the count on Tuesday and almost half the figure posted earlier this week, the California Department of Forestry and Fire Protection said on Wednesday. Firefighters have controlled 85 per cent of the fire, which has, till now burned 62,052 hectares and is the most catastrophic in terms of fatalities in the history of the state, reports Efe news. The flames destroyed around 13,500 houses and about 500 shops and is still a threat to another 5,100 buildings. US President Donald Trump, who visited the affected area last week, urged Congress on Tuesday to take measures that "improve forest management and help prevent wildfires", which, according to the President, "can stop the devastation constantly going on in California".